Are you in the Knoxville area and you want the trees on your property well maintained? Call us, the tree service Knoxville relies on to provide quality, professional tree care. At Knoxville Tree Service, our expert staff uses quality equipment, skill and experience to properly care for you trees. Our tree experts skillfully do the job to perform even the most tricky tree care efficiently, safely and affordably. Our clients depend on us not only to take care of the trees on their property, but also to improve your overall landscape during the tree service process. Aside from taking care of your trees, we also take care of the safety of our clients and our personnel. Moreover, the equipment we use ensures effortless handling. There may be times, though, that the equipment we use for tree services can damage parts of your landscape. In these cases, we can suggest that our experts use climbing harnesses instead. This way, the process can be more affordable and you get to control what goes on in your property. Our flexibility and dexterity enable us to provide the best tree services Knoxville requires. We also offer emergency services for your trees 24/7. There are several reasons to call us for your tree care needs. Know why our company is considered the best by both our commercial and residential customers in the Knoxville and Knox county areas. Knoxville Tree Service is bonded, insured, and licensed. We strive to leave you with absolutely no liability. To protect our customers and free them from more liability, our staff is also provided with workers’ compensation. We at Knoxville Tree Service know that customers prioritize local businesses. As part of the community, we give you peace of mind that comes only from hiring a trustworthy business. We try to live up to the reputation we have established since 2002. Further, we service all of Knoxville and the greater Knox County (see service locations). Our arbor experts can perform various jobs. They are capable of bringing down trees in an expert manner and they can also help remove unwanted and unsightly brush from your yard. As our experts arrive on your property, we begin the painstaking task of caring for your trees, doing everything from trimming to removing trees, to grinding stumps, to cleaning up until the property is spotless. When we’re done with the tree service, you’d think we never came to your place. Not only that, your yard looks better than before. When we do our tree trimming and tree removal services, we don’t use conventional axes and pruning tools. We use cutting-edge tools and we employ professional staff. We regularly maintain our heavy equipment to keep them in top condition in order to serve our customers better. We also hire the best employees and keep them up to date with the latest training and education to ensure efficiency, safety, and valuable customer service. We remain trusted in Knoxville partly because of our professionalism. We are able to maintain professionalism all throughout the work we do for you. We do whatever is dictated in our job order, including the price that we agreed on. We remain professional because reliability is everything in the modern world. We have the experience, business management operations, and equipment Knoxville customers seek. Safety is paramount, and we’ll never do a job that could compromise the safety of our customers and employers. Our staff are trained well in safety protocols and practices, and our top-of-the-line equipment are safe to use. We strive to avoid the possible hazards that go together with service procedures. Our company adheres to and practices the TCIA (Tree Care Industry Association) and ISA (International Society of Arborist) tree care safety guidelines. The guidelines include proper equipment operation and the utilization of safety climbing harnesses. We make sure that we do things safely while we tend to the trees on your property. 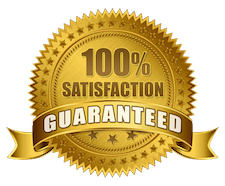 While we aim for our customers’ 100% approval for our services, we also offer a lot more by quoting fair prices. We make sure that your hard-earned money is never wasted. We give our customers fair prices as they let us do the work we love. Unless you’re stuck in a tree emergency, our tree experts normally come to your location to do an assessment. On that same day, you’ll get a work estimate. 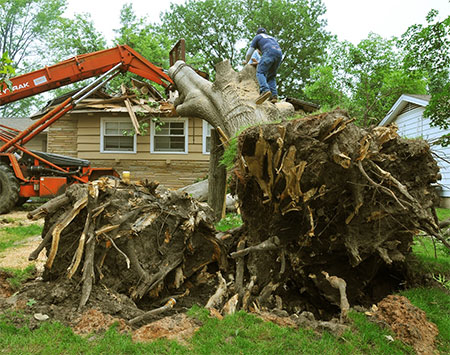 Tree care services can be unexpected, especially in a situation when trees are downed by storms. For budget concerns, it’s vital that we let you know a service’s cost beforehand. Tree services are not something that you put on your regular monthly budget, as these are services that you only require on an occasional basis. Tree trimming, stump grinding, and tree removal costs vary and depend on each tree’s individual assessment. Four factors are considered in a tree removal job: location, height, diameter, and species. With such variables, the cost of a tree removal can be from $400-$2,000. The tree’s location is crucial to the tree removal job’s difficulty level. If the tree is tangled in utility lines or leaning against any building, the job can involve an experienced lineman or worker. Location also determines how dangerous a job is, and a dangerous job is more costly. The higher the tree, the more work it entails. This makes the job more expensive. On the other hand, a smaller tree entails fewer equipment and fewer staff. A tree’s diameter determines the cost by determining the job’s duration. A thicker tree takes longer to remove and will be cut into smaller parts, requiring more equipment and manpower. A species with harder wood takes more effort and takes longer to work on that a species with softer wood. Moreover, tree species with multiple trunks are more difficult to work on than species with singular trunks. ​Factors that determine tree trimming cost include: location, height, diameter, species, and degree of trimming required or desired. Due to such factors, tree trimming can cost from $200 to more than $1,000. It takes less time, manpower, and equipment to work on a tree set in a field than a tree entangled within a structure or in power lines. With a taller tree, our personnel needs to climb higher to trim the branches. This entails more money and time to safely do the job. A thicker tree means more branches. This means more time to work on the trimming job. Some species have larger limbs and more branches than others. Depending on the tree species, the job can take more or less resources and time. If the tree is overgrown, it would need more effort and time to shape compared with a tree that is trimmed regularly. Several factors determined in a stump removal or grinding tree care includes: whether it requires removal instead of grinding, location, age, size, and species. Stump removal costs at least $500 while stump grinding can cost from $100 to $400. This depends on the situation of stump in your property. Grinding is more economical and save you money and time. Stump removal, which is more expensive, calls for the entire stump’s removal – including the roots – leaving a hole that should be filled. The stump’s location determines the price. If a stump is difficult to access, more resource and time are needed to remove or grind. If the stump is near a structure, especially if the roots are encroaching beneath the building line, the job will be more time-consuming and complex. A larger stump requires more time and work to remove or grind it. A small stump takes a few hours, while a larger stump may need more workers and take much longer. It’s easier to grind softer wood and the process takes less time. A stump from a hardwood species takes longer to grind safely. An older stump’s root system can be complex. In a stump removal situation, this complicated tree service job can raise the costs. We can assess whether your tree requires a trimming or a removal. Is the tree a danger to your property? A tree is considered hazardous when it leans toward your building. If just a solitary branch is leaning, the tree is does not pose a hazard. If only a branches need to be removed, only a tree trimming is required. If the tree trunk is dangerously leaning over, consider a tree removal procedure. Does the tree have many dead branches or is the tree dying? If the tree’s health is declining quickly or if it’s apparently dying, it’s best to remove the tree. If there are just a few dead branches and the tree can still be saved, only a tree trimming is required. Does the tree have dying limbs or decaying? Dying or dead trees should always be removed. One of our tree care specialists can help you determine if a tree is dead. Is the tree creating a problem? If the tree causes major issues, you may proceed with a tree removal. Such situation may be the tree leaning over a structure and that tree puts strain on the structure. If the tree is also severely damaged and can no longer be trimmed or fixed, removal may be needed. If the tree is just overgrown, you may just want to go with a tree trimming. Does the tree still add value to your landscape? If the tree is integral to your landscape’s overall aesthetic, but is just overgrown, you may just want to trim it. After all, a regular trimming can positively impact the tree. When the tree doesn’t contribute to your property’s aesthetic value and it negatively impact’s your property, you can have it removed. We offer a wide tree care services for all our commercial and residential customers. We provide excellent tree care, whether it’s an emergency situation or a routine tree trimming. One of our most in-demand service is tree removal. A healthy tree, other than the usual pruning, needs little maintenance. You may not think of your tree a lot, unless it’s damaged or its health somewhat declines. Assessing your tree’s situation, much less remove it, is a difficult process and this is where Knoxville Tree Service comes in. Our expert arborists assess the situation and issue a quote that includes cutting the tree, felling it, removing or stacking the wood, and a thorough cleanup. We can also assess your entire property and check which trees are damaged or sick. We use heavy equipment in the tree removal process, making the job safer, easier, and efficient. If you don’t want heavy equipment on your property for fear of risking damage to your landscape, we can use climbing equipment to do the job. While there are people working on removing the tree’s branches, there are also ground personnel to remove debris and make sure safety procedures are being followed. * #1 Tree Service Company 7 Years in a Row! Restore the tree’s original aesthetic by improving its symmetry and shape. After we perform a tree removal, let us get rid of that useless stump. Besides being unattractive, a tree stump can be a true nuisance and removing it can be a difficult and dirty job. Whether it has become a hazard for guests, a home for insects, or just an unintentional yard ornament, it needs to go so that you can enjoy your property once again. With our state of the art grinders, our team of tree professionals can eliminate any size stump from any location, safely and without negatively affecting your landscape. Stump removal is not a fun project for any home or business owner and can be dangerous. We know you have better things to do with your time so ask us to remove that unsightly stump for you. In case your trees are damaged by storms, we are available 24/7 for emergencies. Our experts quickly respond and work until the job is over. As the tree services Knoxville goes for, we have the appropriate staff and equipment to safely and quickly remove potential hazards and renew your landscape. Call our trustworthy team in case you have a tree-related emergency. Also remember that preventative tree care can often minimize your risk of storm-related tree damage. If you’re building a home or office building on an empty lot that’s overrun with brush growth, we can clear the property for you. Using our wood chipper, we remove the brush and turn them into wood chips, which can be pressed into firewood or repurposed into mulch. Let us turn those branches and stray sticks into wood chips. Don’t let that decaying wood become unsightly. Call us and we’ll clear up your property safely and efficiently.